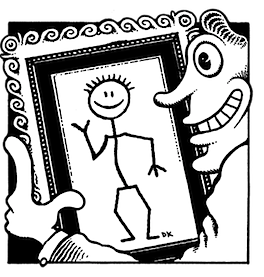 In 1969 starving hippie artist Denis Kitchen self-published Mom’s Homemade Comics #1, one of the earliest underground comic books. 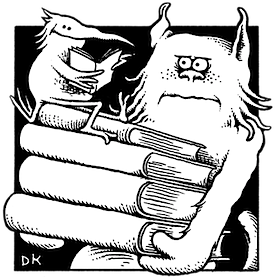 From that humble start he built a respected publishing company, Kitchen Sink Press, working with many of the most important cartoonists in the world. The early proponent of artists’ rights founded the Comic Book Legal Defense Fund in 1988 to protect First Amendment freedoms, and he helmed the non-profit industry organization for nearly two decades. 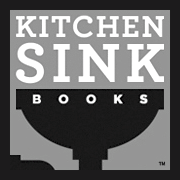 Kitchen also writes books and essays, curates art exhibits, and continues to draw. 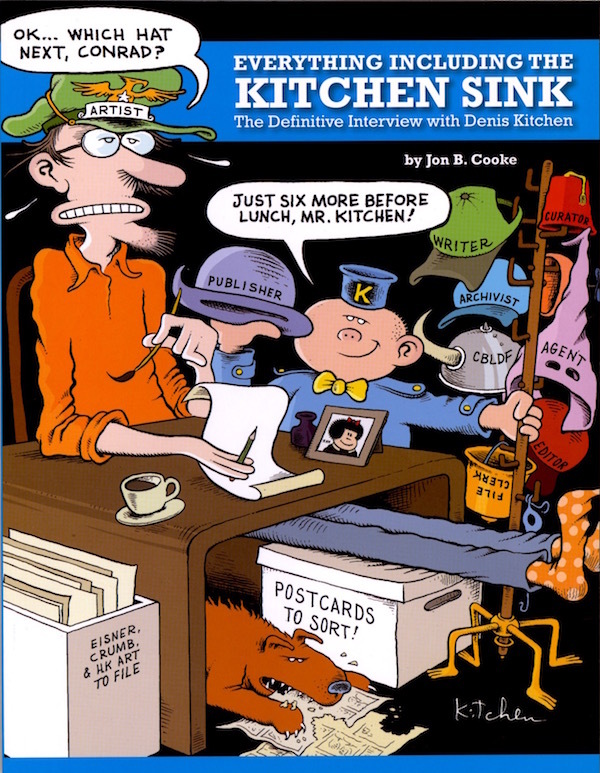 This compilation includes a comprehensive 61,000-word interview with the artist and publisher conducted by Jon B. Cooke (Eisner Award-winning editor of Comic Book Creator magazine), covering such topics as the birth and collapse of underground comix, early years of the “direct market,” the rise and fall of KSP, and Kitchen’s rebirth as an author and creator. 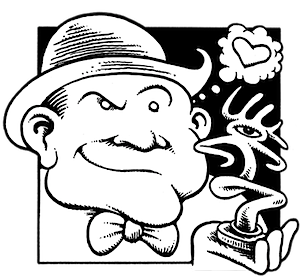 The lively discussion also covers renowned creators such as R. Crumb, Will Eisner, Harvey Kurtzman, Stan Lee, and many other comics legends. 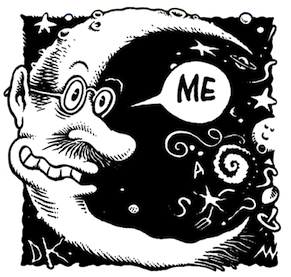 New material in this book includes a 4-page illustrated Introduction by Peter Poplaski, an extensive essay by Cooke featuring the recollections of Denis Kitchen by many comics luminaries including Jay Lynch, Skip Williamson, Trina Robbins, Justin Green, Peter Poplaski, Leonard Rifas, Howard Cruse, Mark Schultz, Don Simpson, Milton Griepp, Ann Eisner, Adele Kurtzman, Nellie Kurtzman, Bob Chapman, Charles Brownstein, Scott Eder, John Lind, Patrick Rosenkranz, Paul Buhle, and others! Hundreds of color illustrations and photos throughout, many never-before-published, along with Kitchen’s rarely seen graphic mini-biography of Dr. Seuss! Autographed and personalized by Kitchen on request.